Kansas City, Mo. (May 10, 2018) – Oyster Night at Summit Grill in both Lee’s Summit and Waldo returns on May 16. Oyster Night will be held every Wednesday at 3 p.m. while supplies last, and features $1.50 each raw or char-grilled oysters, $4.99/pound peel and eat shrimp and La Marca Prosecco and Sophia Coppola Brut Rose specials. For more information about Summit Grill and Oyster Night, follow Summit Grill on Twitter @SummitGrillKC, “like” Summit Grill on Facebook at www.Facebook.com/SummitGrillKC, follow Summit Grill on Instagram @summitgrillkc, or visit us online at www.summitgrillkc.com. 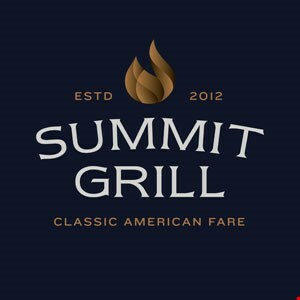 Summit Grill is a casual American restaurant opened in Lee’s Summit, Missouri in 2012 and Kansas City, Missouri’s historic Waldo neighborhood in Oct. 2014. Both locations are open daily for lunch, dinner and happy hour, as well as Saturday and Sunday brunch. The restaurant’s menus feature a range of options from sandwiches, salads and burgers to hand-cut steaks and seafood. Summit Grill is led by long-time restaurateurs Domhnall Molloy and Andy Lock. Summit Grill is located in Lee’s Summit at 4835 NE Lakewood Way and in Kansas City at 520 W. 75th Street. Reservations can be made online through Open Table or by calling 816-795-1299 in Lee’s Summit and 816-361-9788 in Kansas City. Visit Summit online at SummitGrillKC.com.